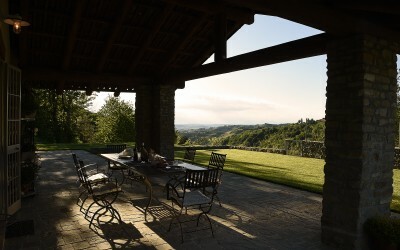 To know Alta Langa you should enjoy it and live it, because taste the products is not enough. 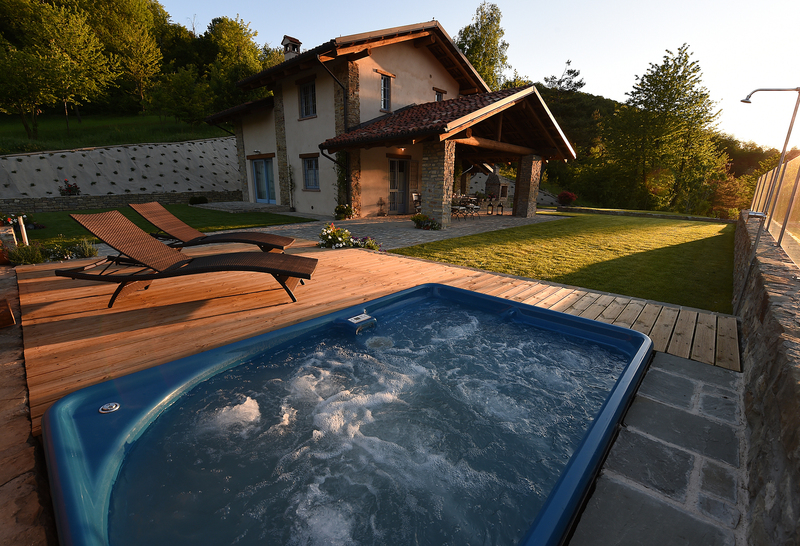 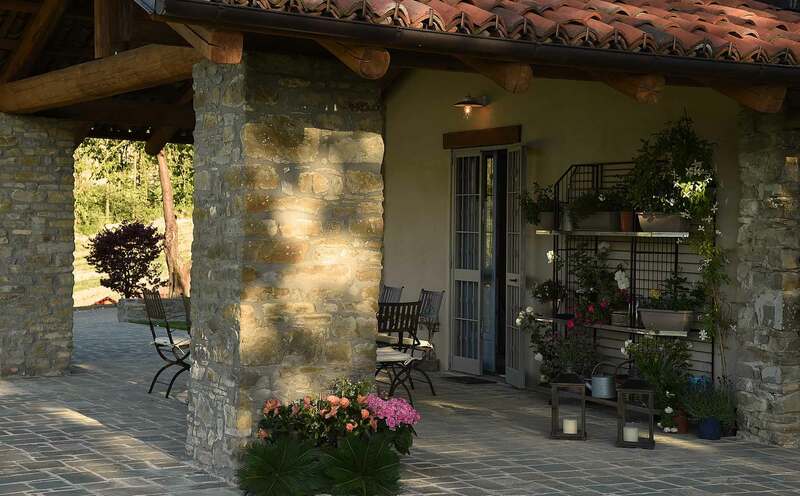 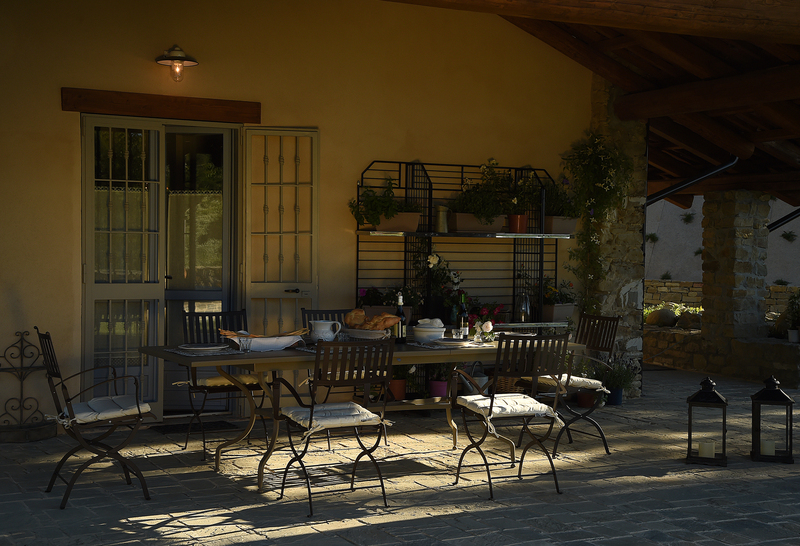 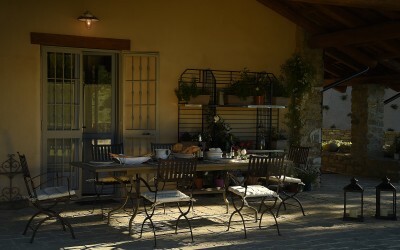 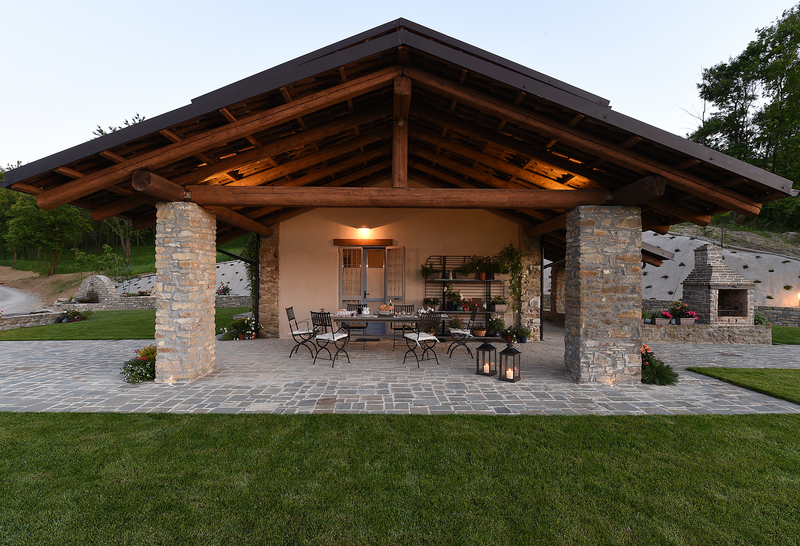 For this reason on Cerrato Langhe’s ground, in the hamlet of Cerretta, we had renovated an old farmhouse and now it is provided for turists and for who loves nature and holidays. 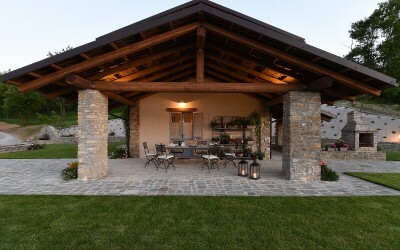 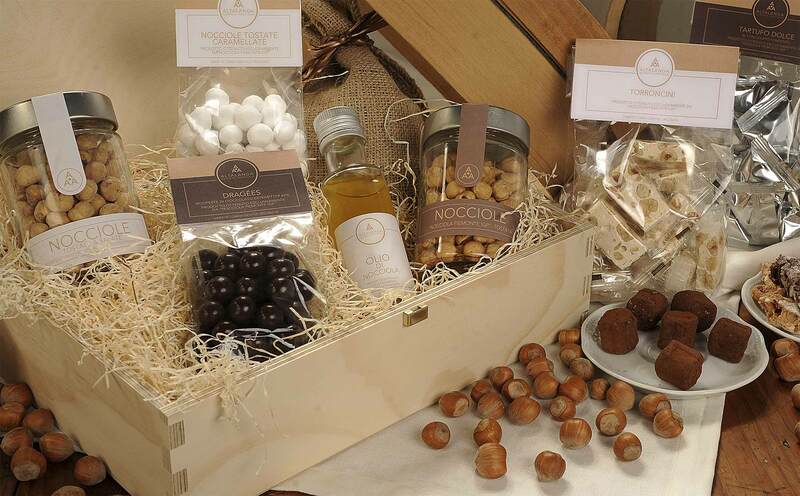 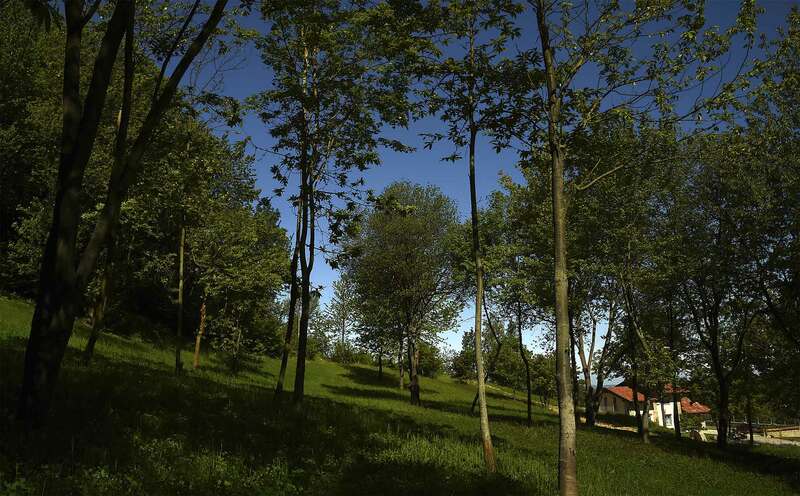 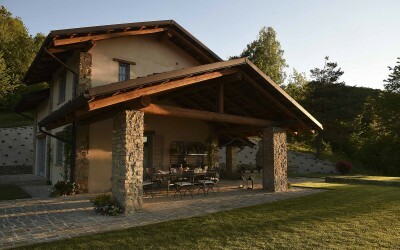 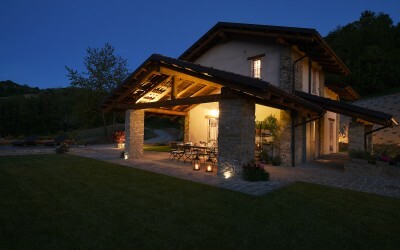 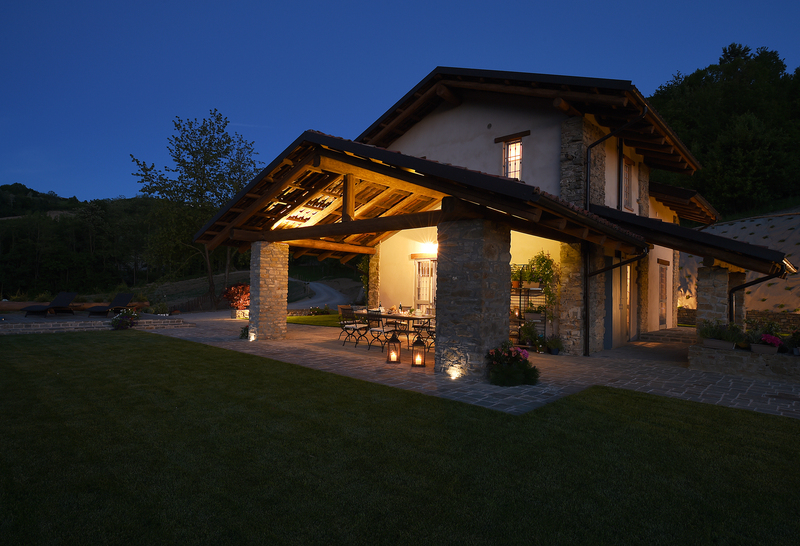 Our country house in Cerretto Langhe is made with a typical stone from Langa and it is placed within a clearing in the woods, crops of nuts and herbs. 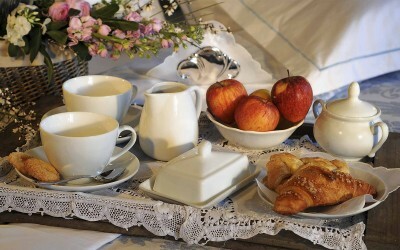 It is surrounded by a huge natural park and cultivated fields. 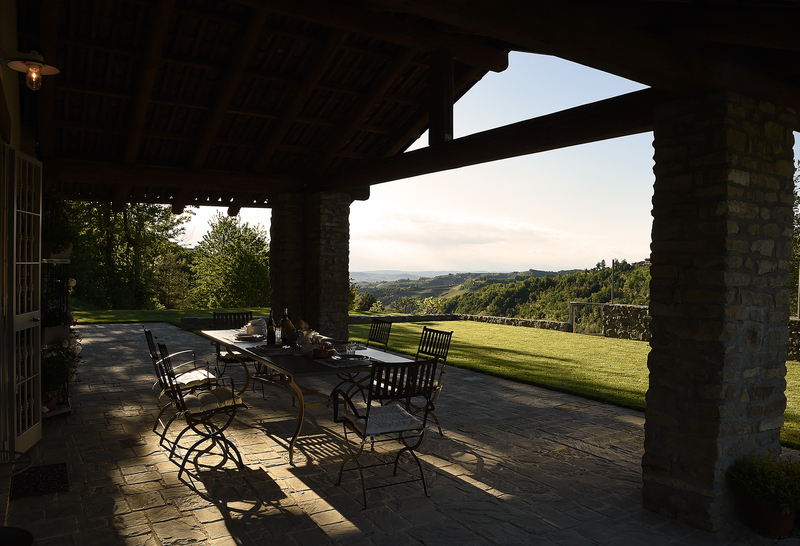 From our farmhouse is possible to enjoy a spectacular view across the Langhe countryside that ranges from Serralunga d’Alba, Monforte, to Sinio and Castiglione Falletto hills. 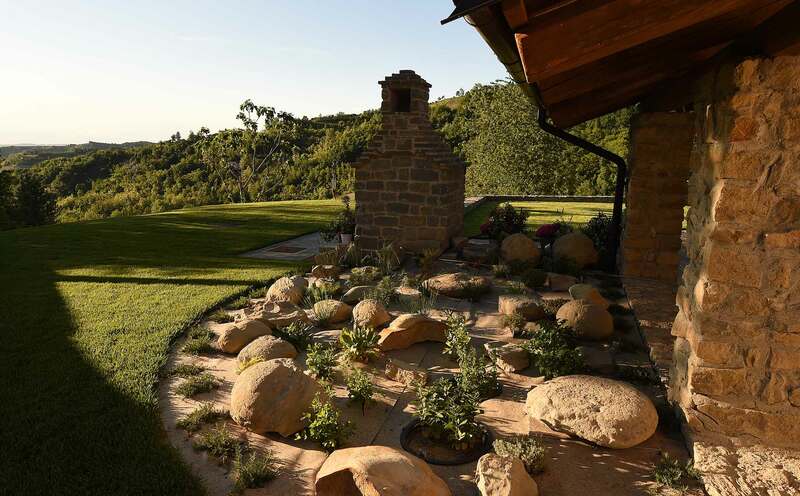 Nearby the house, there is a truffle fenced of about 3000 square meters, a garden of about 2000 square meters and the relaxation area surrounded by woods, where it is possible to see deer and wild forest animals. 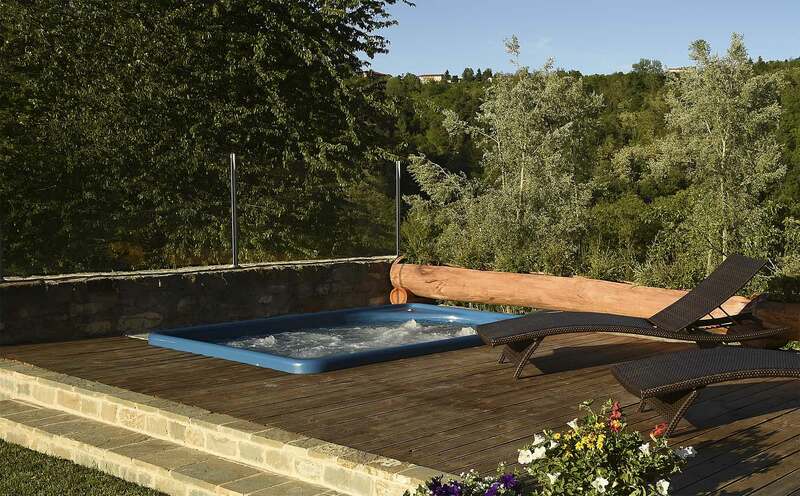 The facility is equipped with every comfort, rustic furniture and fittings, swimming pool with Jacuzzi solarium, outdoor gazebo, barbecue and children’s playground within the park. 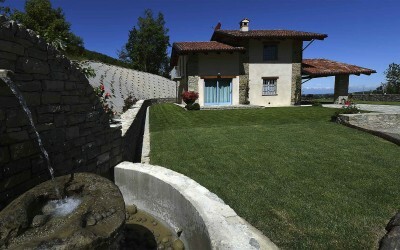 The farmhouse is spread over two floors. 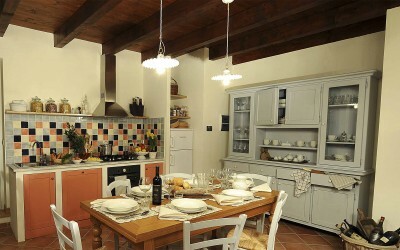 On the ground floor there is a large kitchen, equipped with every comfort: large dining table, wood stove, electric oven, microwave, crockery and cookware sets, dishwasher for 12 place settings and Nespresso coffee machine. 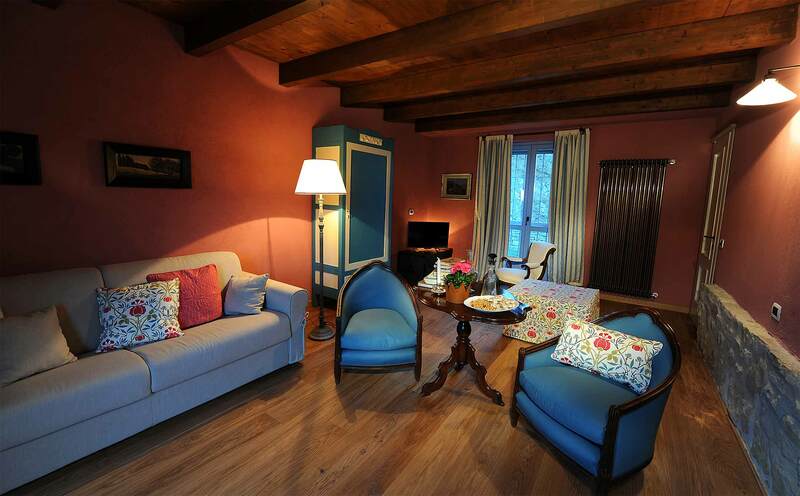 Next to the kitchen, there is a cozy living room with large glass sliding door with the view on the garden, antique furniture, 3 setter sofa converts to a double bed and a characteristic ceiling with wooden beams. 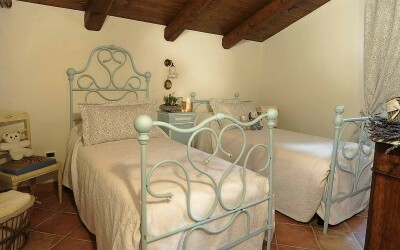 In addition, several place to sit including a pouf converts into a single bed. On the ground floor, there is a restroom, equipped with a sink, toilet, and shower and easily accessible from the garden. 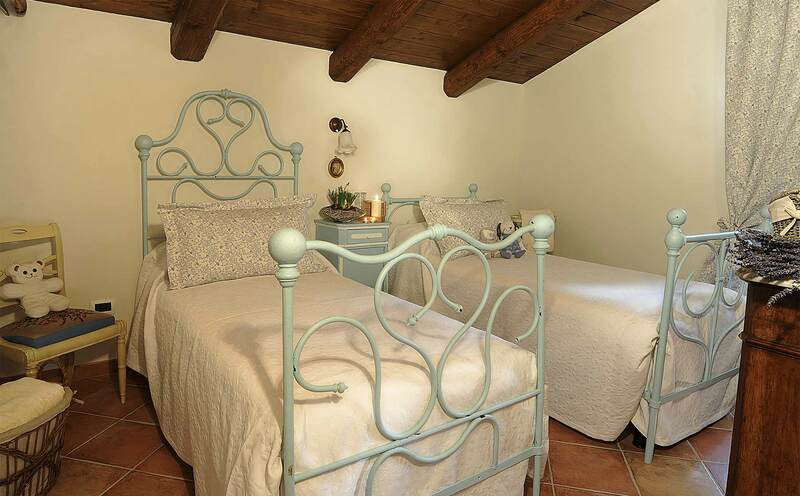 On the first floor, there is a bedroom with a canopy bed and windows overlooking the garden and a second bedroom with 2 single beds in wrought iron. 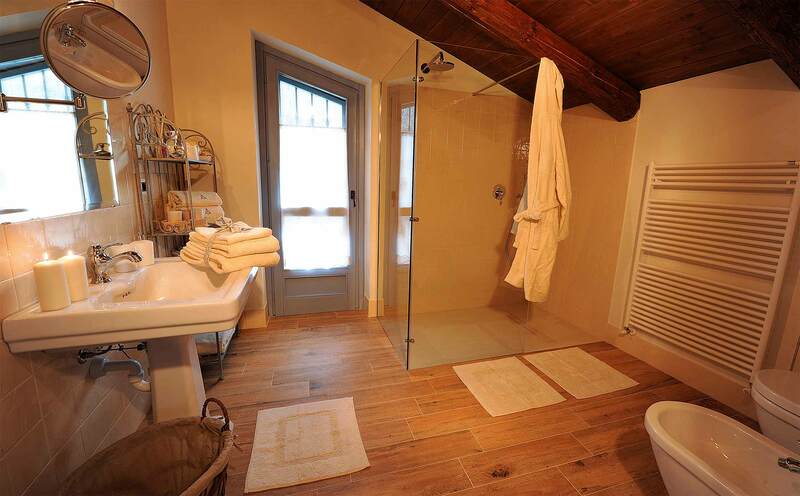 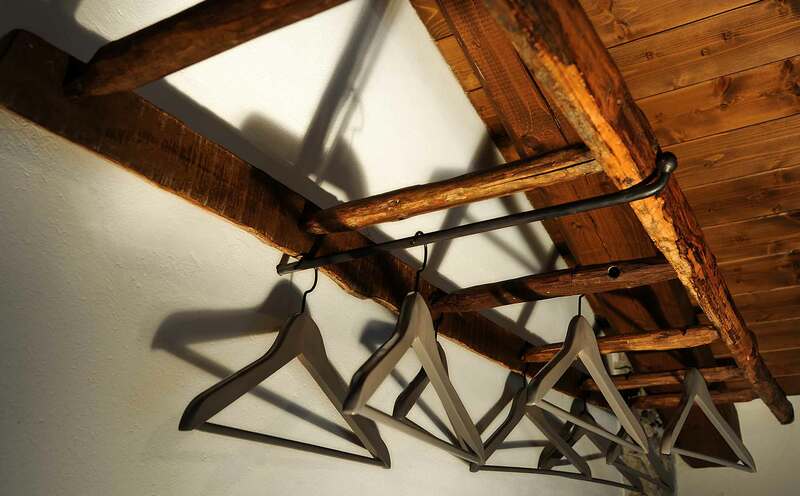 Along with the bedrooms, you can find two restrooms one of which is bright and spacious equipped with modern shower.